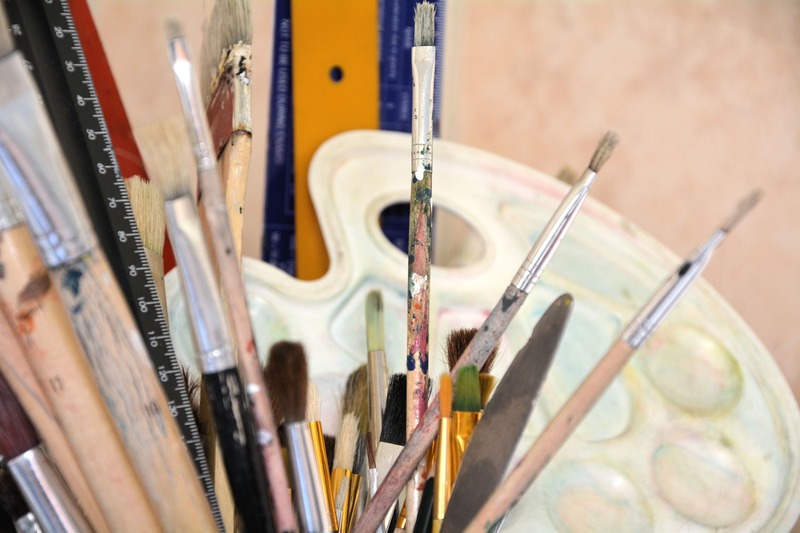 St Wilfrid's Art Group meet regularly on a Friday afternoon in the lower church hall. 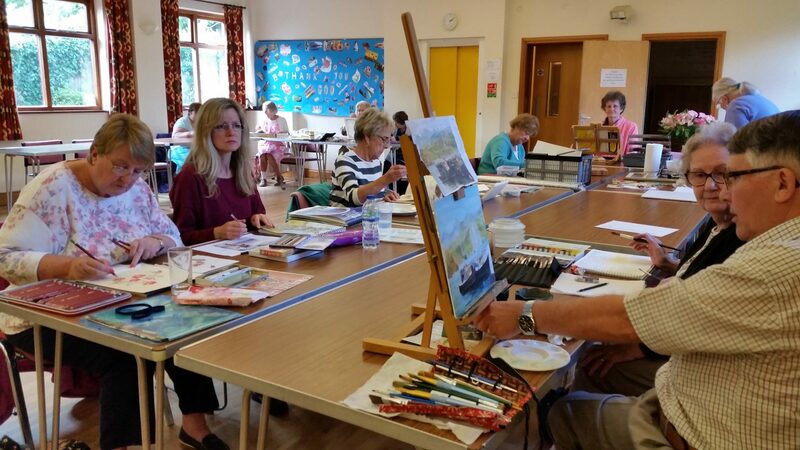 There are currently about 30 in the group and it consists of artists of mixed abilities, from beginners to those who have been painting for years. Our common aim is to enjoy our art whilst learning and improving our techniques with encouragement and guidance from one another. Each term, which consists of ten weeks, we have a least one visiting artist to give us either a workshop or a demonstration. Once a year, in October, we mount an art exhibition. This takes place over a weekend and gives our artists an opportunity to showcase and sell their work. The exhibition also includes crafts stands, refreshments tombola etc. As well as showcasing our work, we take the opportunity to raise funds for St. Wilfrid's and another (usually local) charity. 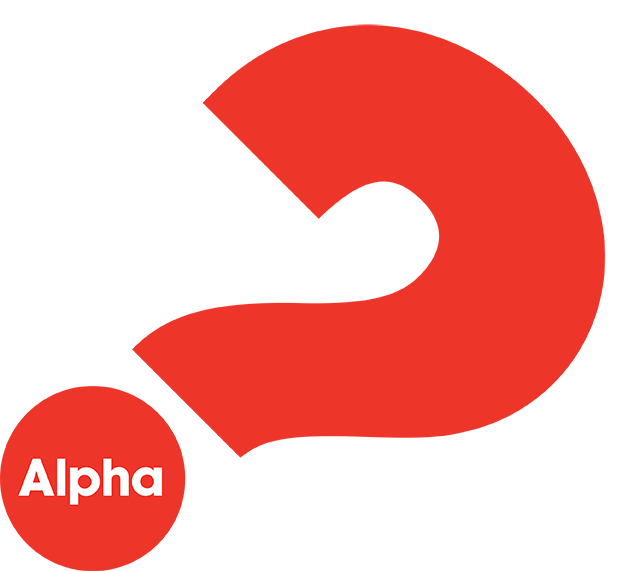 Our charity this year is the Hampshire and Isle of Wight Air Ambulance. So many people come to art exhibitions or ask about painting and say ‘I’d really love to paint or draw’ and, asked why they don’t, the response is usually that they were told when they started school that they’d never be any good or that they couldn’t even draw a straight line. How sad is that? That’s what draftsmen do. Human beings are incredibly creative - God made us that way; just because someone tells you that you’ll never be able to do something gives you a perfect opportunity to prove just how wrong they are! That’s why ‘Want to Paint?’ was born twelve years ago and people found that, not only were they artists, but that other people liked what they did and, hey - even bought their art work! Come and have a cup of tea with us one Thursday afternoon in the upper hall and you can draw, have a go at some delicious wet-in-wet watercolour or pastels or acrylics or coloured pencils or anything you’re longing to try. Everyone’s at a different stage, enjoying different media and, most importantly supporting one another. You’ll never look back - promise!